South Louisiana is home to the greatest free party on earth, a colorful celebration known as Mardi Gras. In Lafayette, LA residents celebrate in many ways including the traditional Courir de Mardi Gras; parades with marching bands, beads and doubloons; Mardi Gras Indians with elaborate dancing and costumes; various styles of king cakes; as well as extravagant Mardi Gras balls complete with a king and queen. Arrive in Lafayette, LA. Full day of touring using our annual Mardi Gras brochure as a guide. 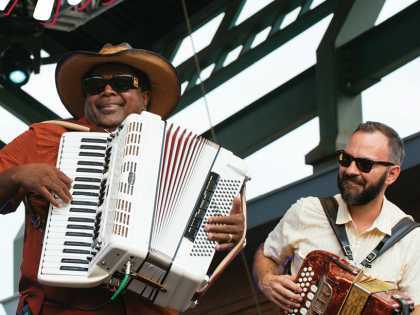 Le Festival du Mardi Gras à Lafayette, LA features live music, rides and games on the carnival midway, and a prime spot for parade viewing throughout Mardi Gras weekend. For the rural flavor of Mardi Gras, attend area activities in nearby small communities. 8:00 p.m. - Greater Southwest Louisiana Mardi Gras Association Pageant and Ball, Heymann Performing Arts Center, Lafayette, LA. Ash Wednesday is always 46 days before Easter, and Fat Tuesday is always the day before Ash Wednesday. Easter can fall on any Sunday from March 23 to April 25, with the exact date to coincide with the first Sunday after the full moon following a spring equinox. What are the official Mardi Gras colors and what do they mean? The official colors of Mardi Gras are purple, green and gold. Purple represents justice, green represents faith and gold represents power. A King Cake is an oblong pastry that contains a tiny plastic baby who represents the Christ child. Whoever gets the baby hidden within the king cake must buy the next one. And so the tradition continues on to Mardi Gras Day. There are different styles of King Cake from traditional to modern, all of them delicious. Why are beads and doubloons thrown during a parade? The tradition of throwing doubloons, beads and trinkets started in New Orleans in the early 1870s when the city’s Twelfth Night Revelers flung trinkets to the crowds while they made their way through New Orleans streets. The idea was so popular with their audience that the tradition continues to this day, although modern throws involve mostly beads and cups. 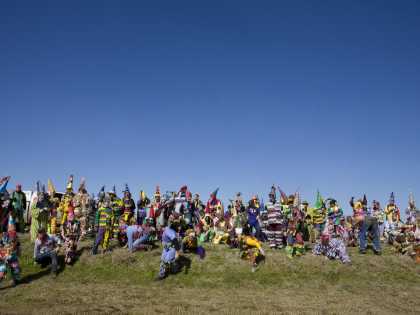 In the rural areas of Lafayette Parish residents celebrate Mardi Gras with the unique “Courir de Mardi Gras” or Mardi Gras runs where masked men on horseback would travel the countryside knocking on doors, singing songs, dancing and begging for ingredients to make a gumbo. Many times homeowners would throw a chicken to the begging krewe and maskers would attempt to catch the bird for gumbo meat. Musicians sometimes followed the krewes, providing more merriment. When the courirs returned to town, they produced a communal gumbo for all to enjoy. Are the Lafayette, LA parades family friendly? 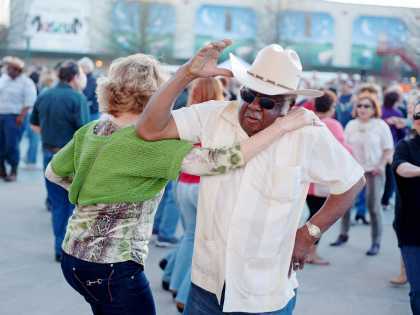 Lafayette, LA&apos;s Mardi Gras celebration is absolutely geared towards families. From staking out a spot along the barricaded parade route to the Le Festival de Mardi Gras a Lafayette, LA at Cajun Field with carnival rides and live music you can be sure your family will be safe and have a great time. You may park along a side street free of charge, avoiding driveways and private property. Don&apos;t be surprised to see "entrepreneurs" along the way to park in a private parking lot near the parade route. If you want to watch the parades from the Le Festival de Mardi Gras, you may park for a fee at Cajun Field. Admission to the festival is free. What other safety tips should I keep in mind? While the parades are in progress you should stay behind the barricades. Definitely have fun and let loose, but realize that lewd behavior and/or drunkenness can get you arrested. Don&apos;t throw things at the float riders. It’s not only disrespectful, but you could seriously hurt someone. If you have children make sure to keep them close and come up with a meeting area in case you get separated from each other. There are several items are prohibited along the parade route including weapons, fireworks, bicycles, glass containers, and pets.